COLOMBO (Reuters) — A week-long strike by customs officers in Sri Lanka has left more than 6,000 containers stuck in the country’s main port and could push food prices higher if the dispute drags on, authorities said on Tuesday. About 1,000 containers hold perishables such as onions and potatoes and any price increases would be passed to consumers, Hemaka Fernando, spokesman for the Essential Food Commodities Importers and Traders Association, told Reuters. 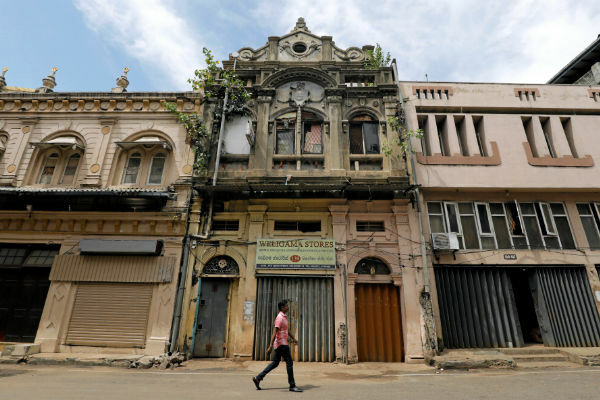 Thousands of officials went on a strike on Jan. 29 to protest the removal of Sri Lanka’s top customs officer who the government blamed for a drop in customs revenue last year. Revenue fell by 146 billion rupees (US$819.5 million) in 2018, or 13 per cent below target, customs officials have said. Unions representing the striking officials blamed the decline on a political crisis in the South Asian island country. Sri Lanka was plunged into turmoil in October when President Maithripala Sirisena removed Prime Minister Ranil Wickremesinghe and then dissolved parliament. Wickremesinghe made a comeback weeks later to return as premier. Stung by the strike, nearly 500 food importers have closed operations in Colombo’s main market and demanded faster clearance of containers. A spike in food prices would accelerate inflation which has hovered below five per cent since September, analysts said. The strike has already cost the government nearly 20 billion rupees (US$113.1 million) in lost revenue, finance ministry officials said.